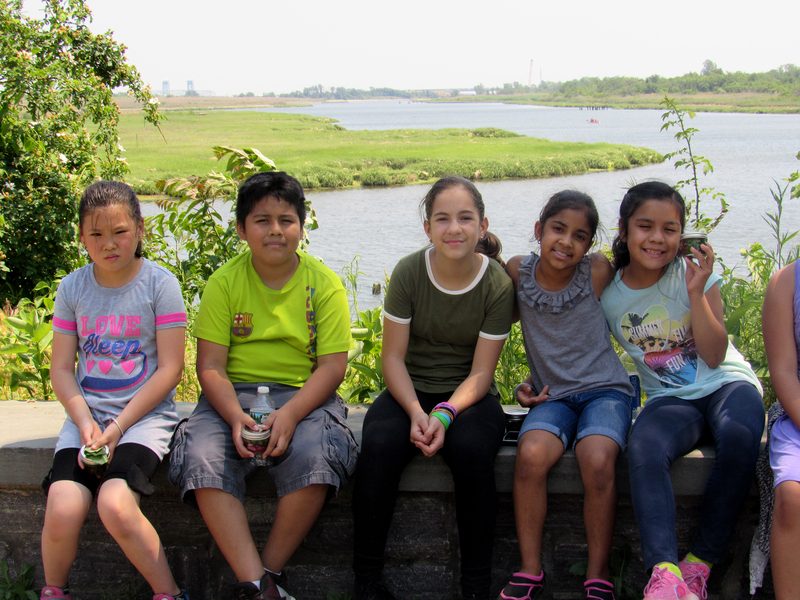 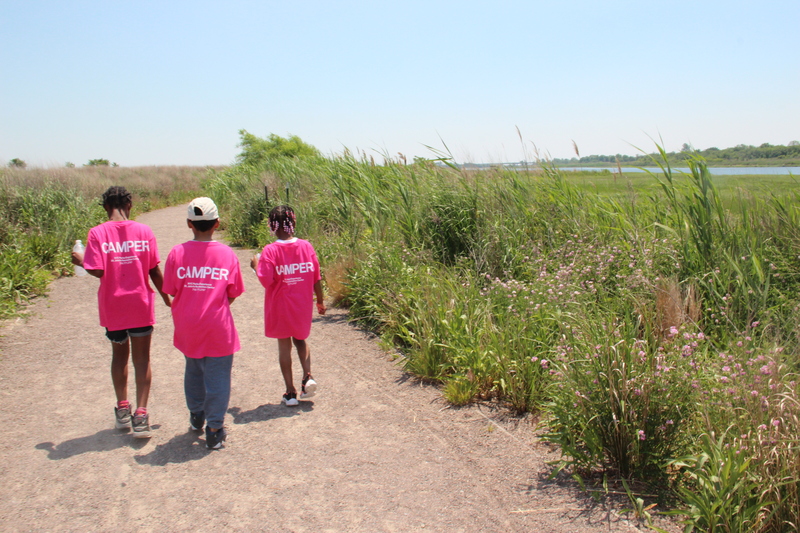 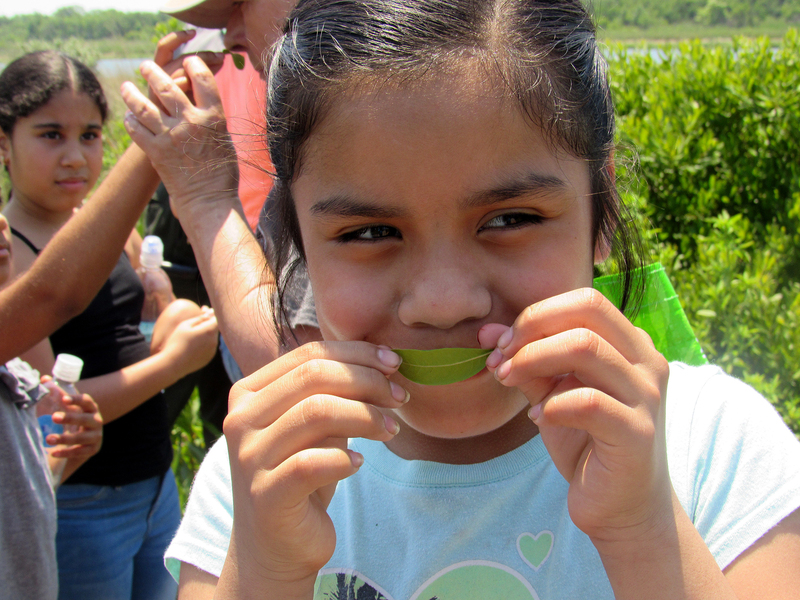 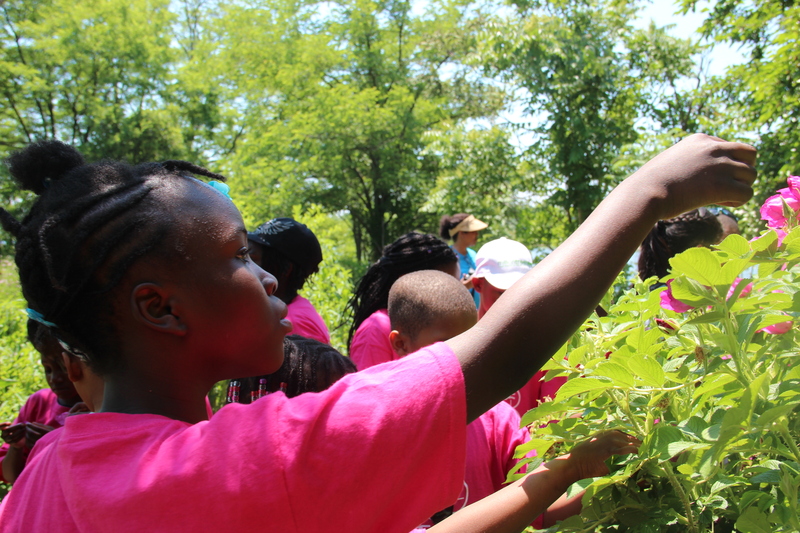 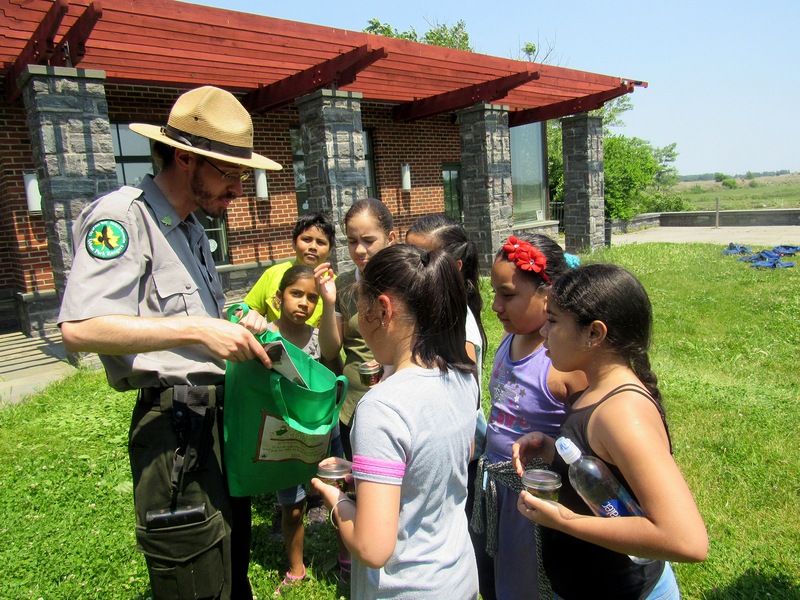 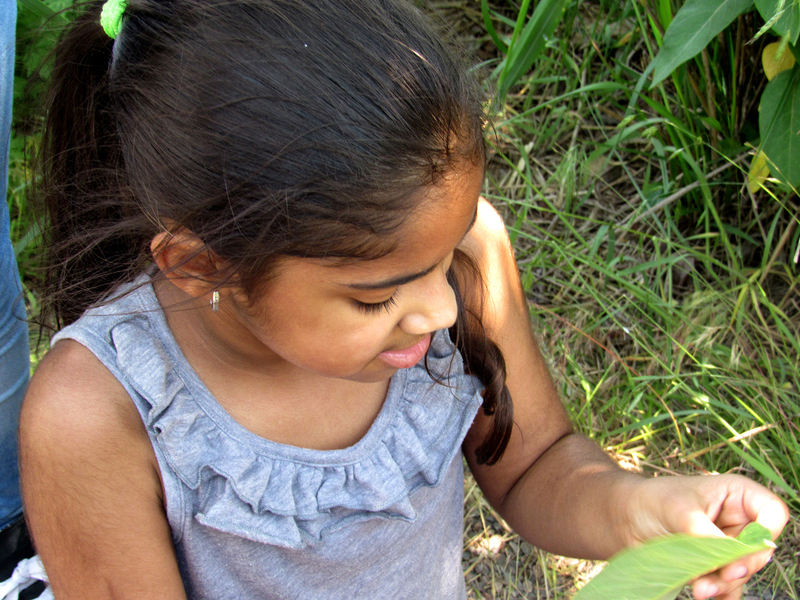 The St. John’s and Sunset Park Recreation children visited Salt Marsh this spring. 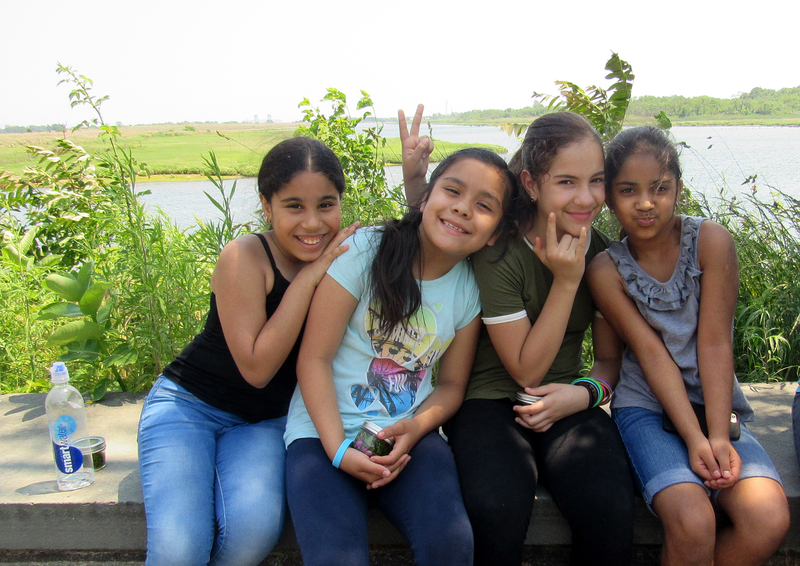 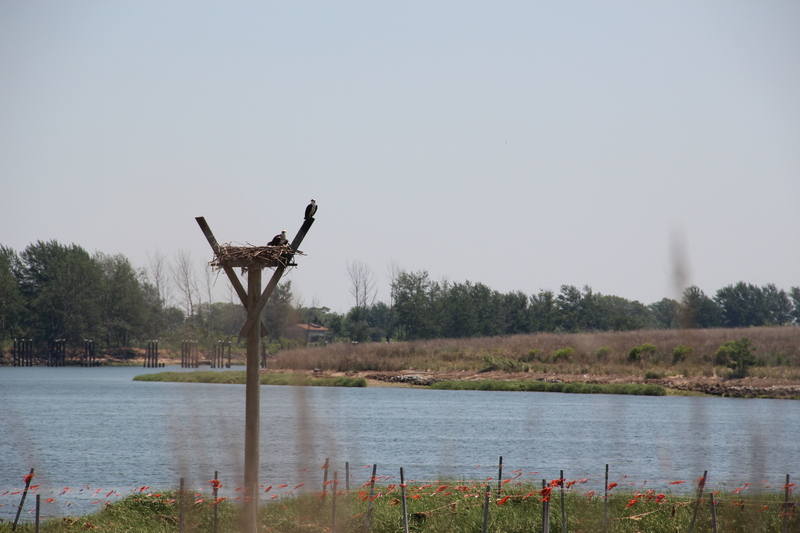 The Salt Marsh Nature Center serves several vital roles in our communities, leading in wild life education, environmental studies and recreational activities. 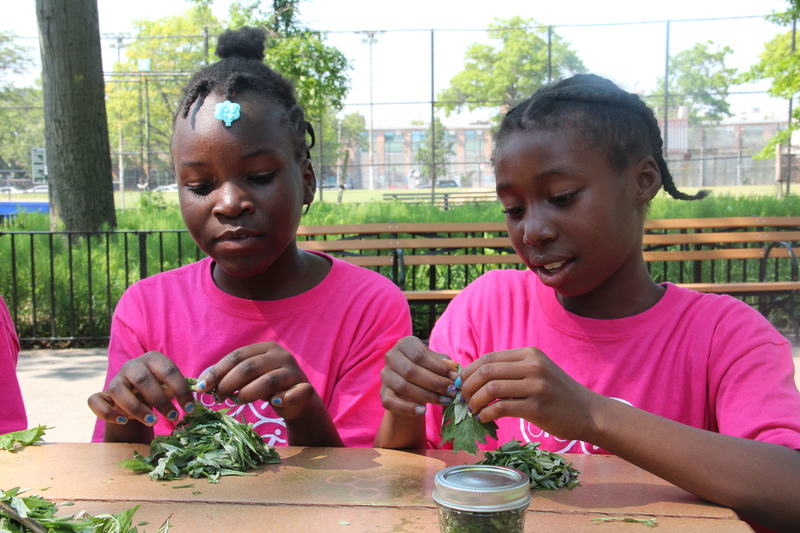 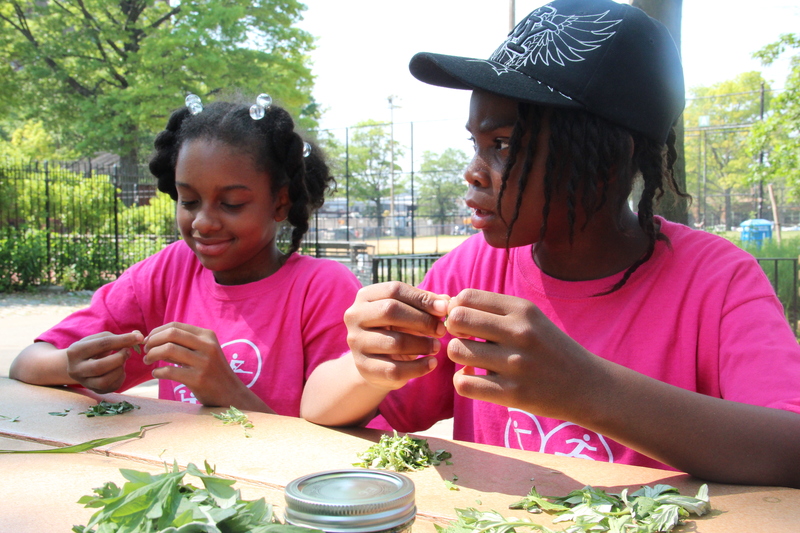 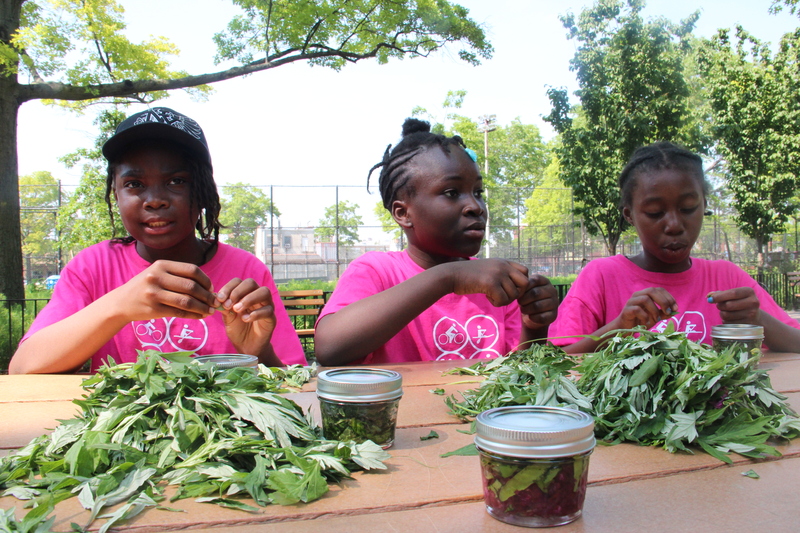 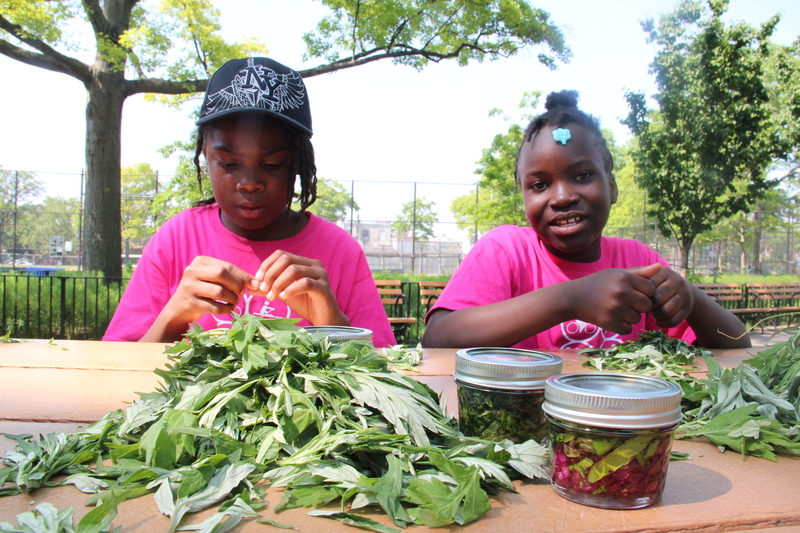 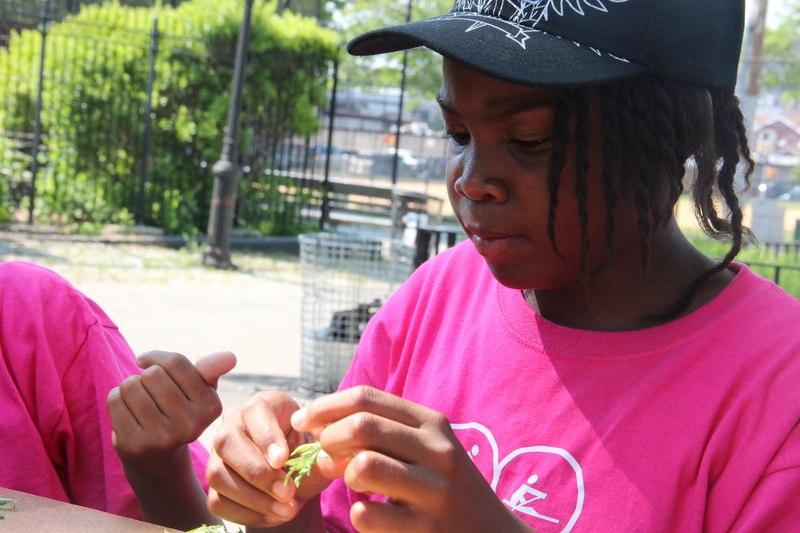 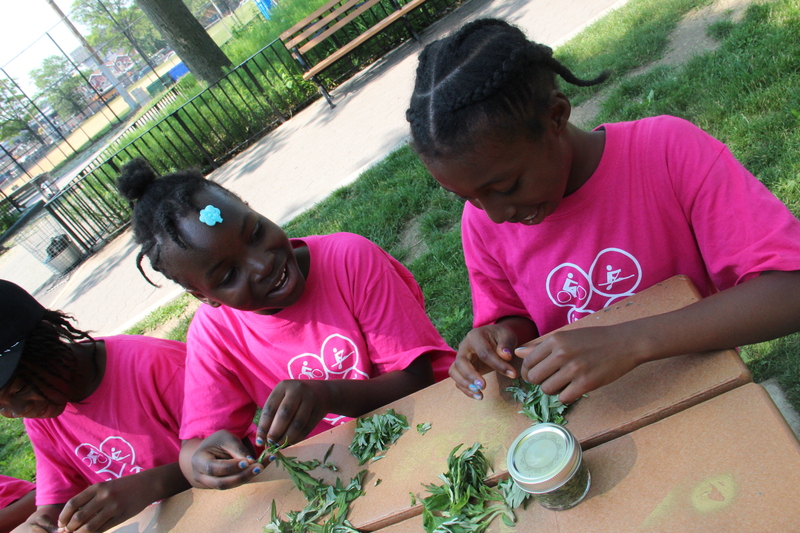 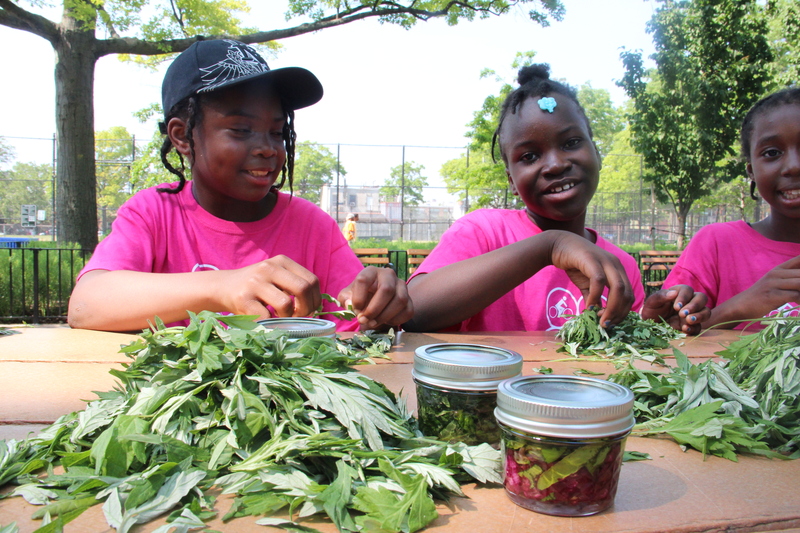 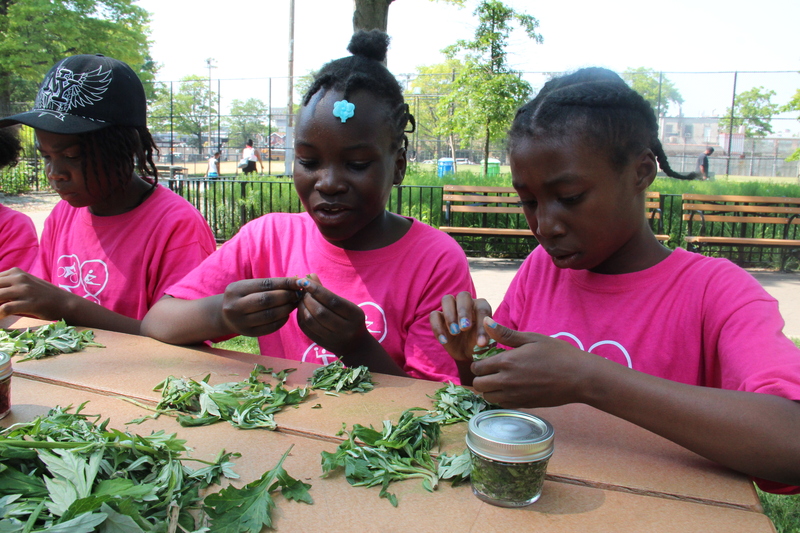 Garden Kitchen Lab partnered with the Urban Parks Rangers in teaching our children how to forage local wild edible plants and prepare a medicinal plant based oil in situ. 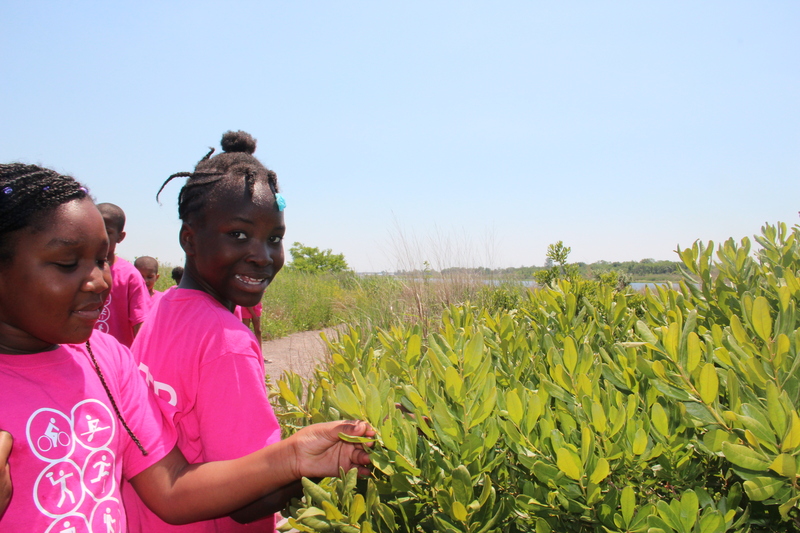 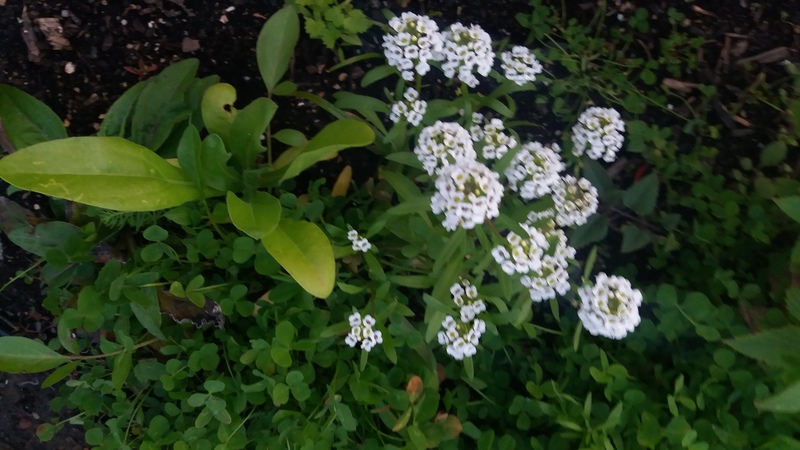 Rangers Judith Velosky coordinated the location of the local wild plants at Salt Marsh, and Ranger Andrew Brownjohn taught the children the medicinal properties of several plants and how to forage Juniper seeds, Bay leaves, Rose petals, Mugwort and so many more plants. 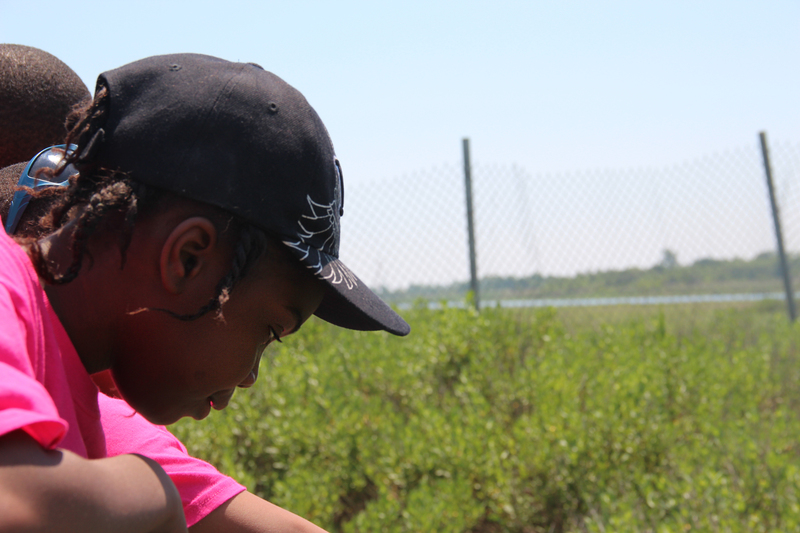 His knowledge and experience not only of the Salt Marsh location but of plants in general was very impressive. 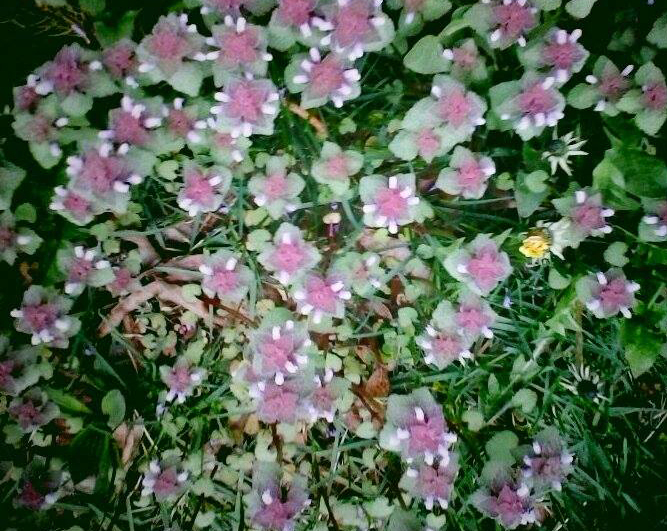 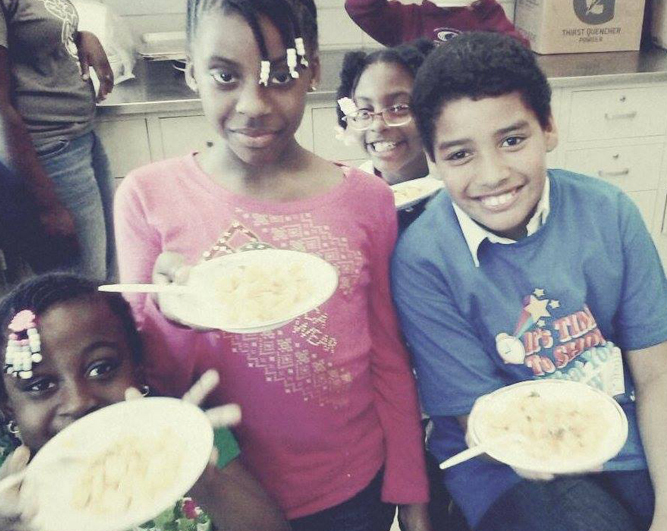 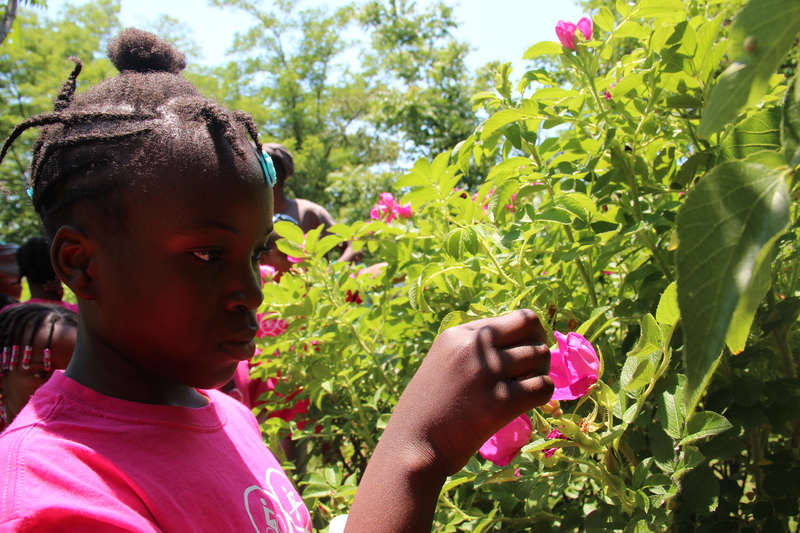 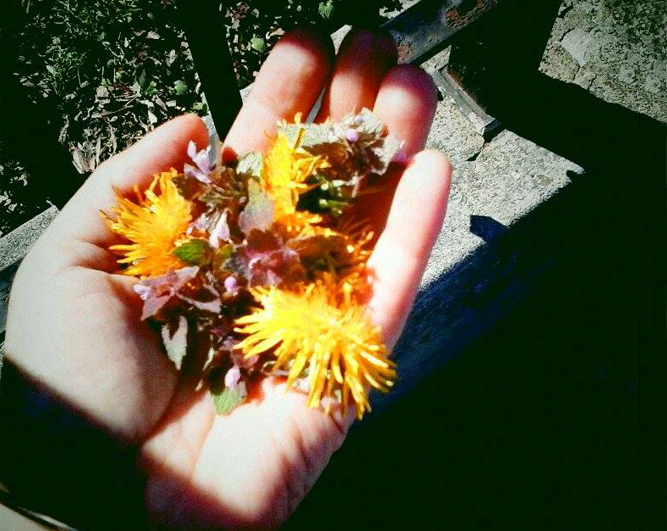 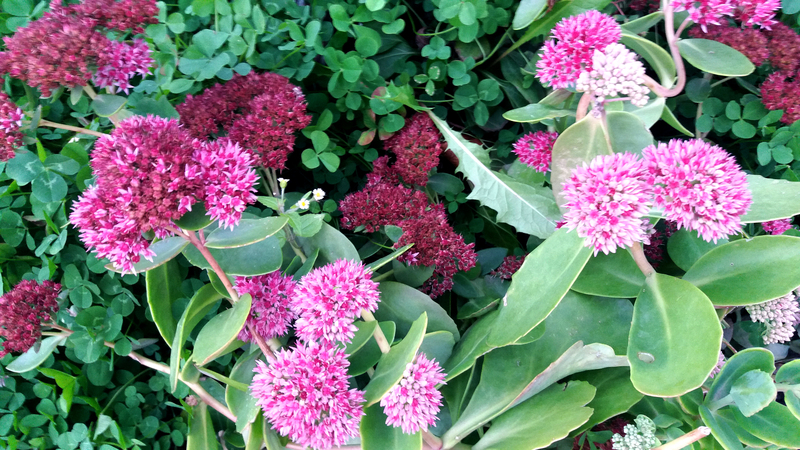 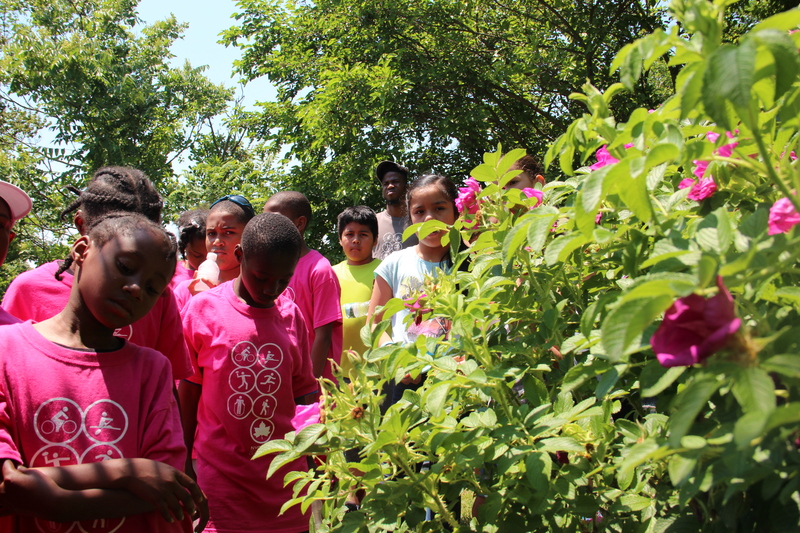 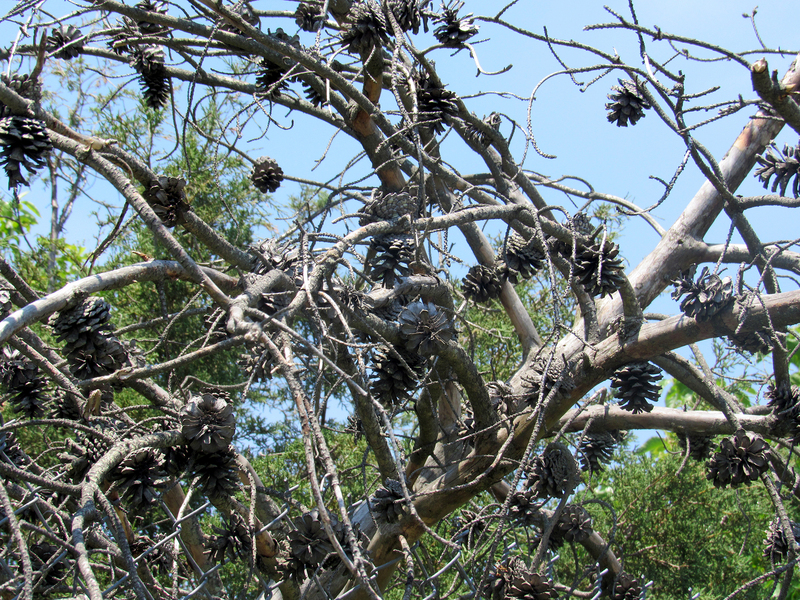 The children were in awe to know all the plants they had seen, but not pay attention to before had a medicinal value. 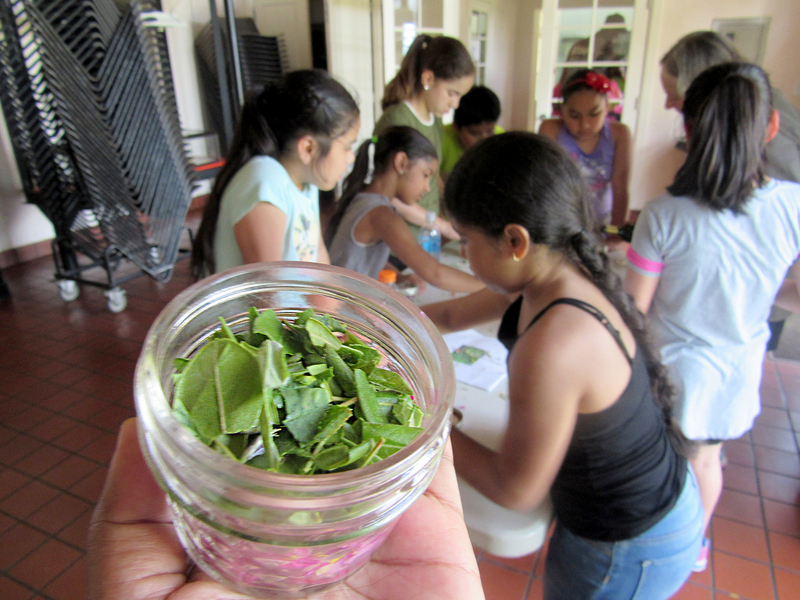 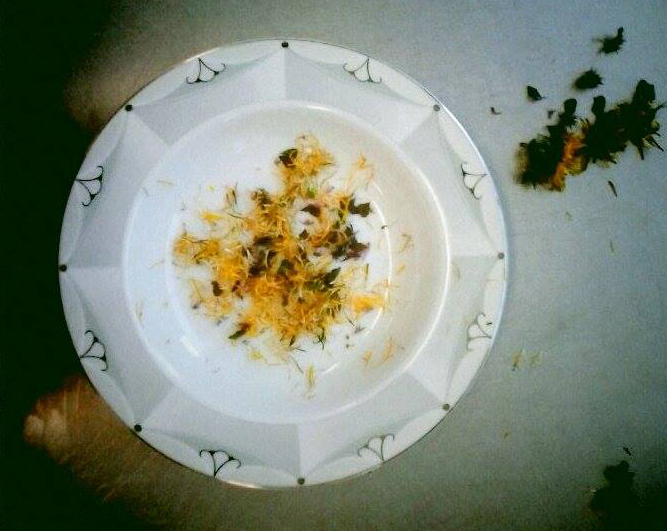 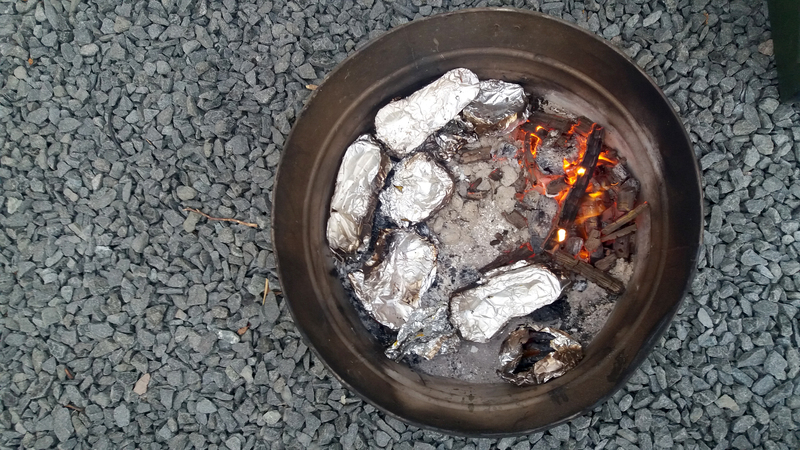 This was the first time Garden Kitchen Lab tested this lesson and it went so well we will be bringing the children to foraging again! 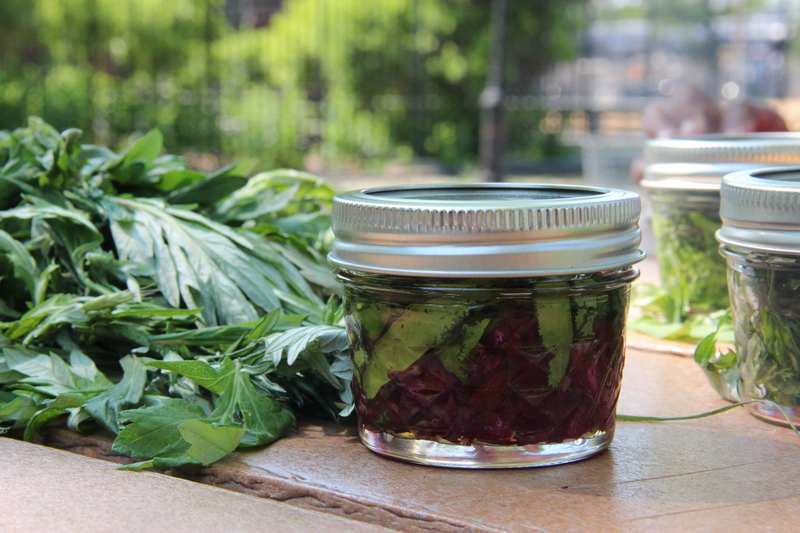 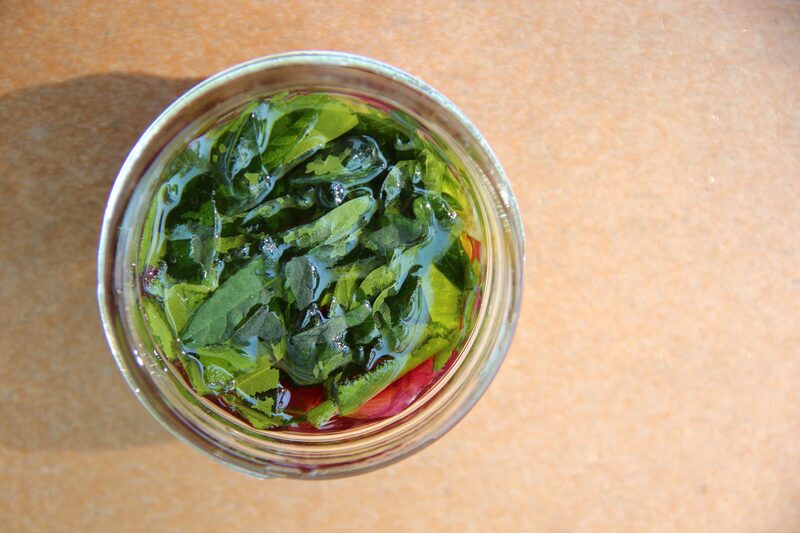 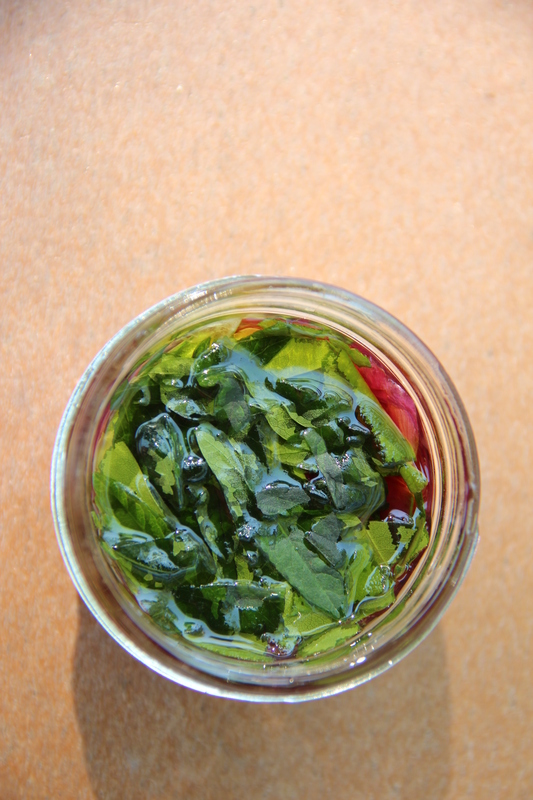 Categories: children, health, local, plants, wild | Tags: BayLeaves, FabiolaCáceres, foraging, GardenKitchenLab, Juniper, Mugwort, plantbased, Rose, SaltMarsh | Permalink. 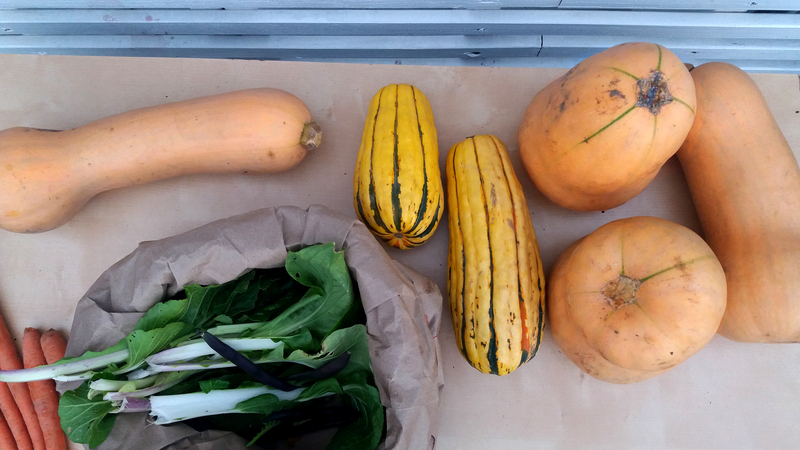 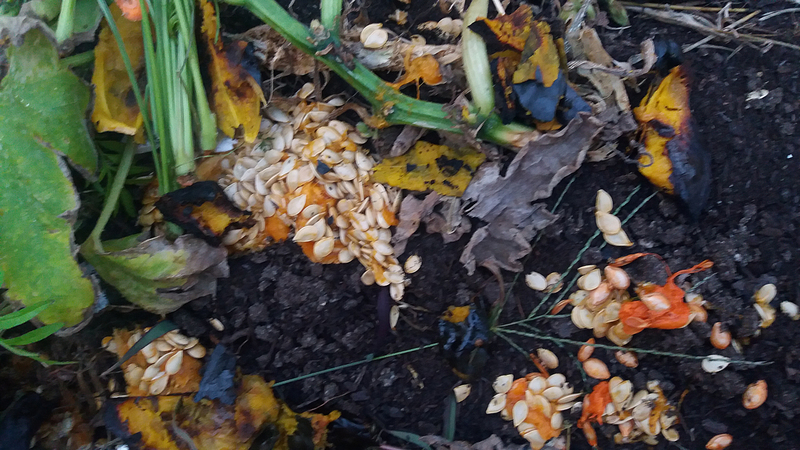 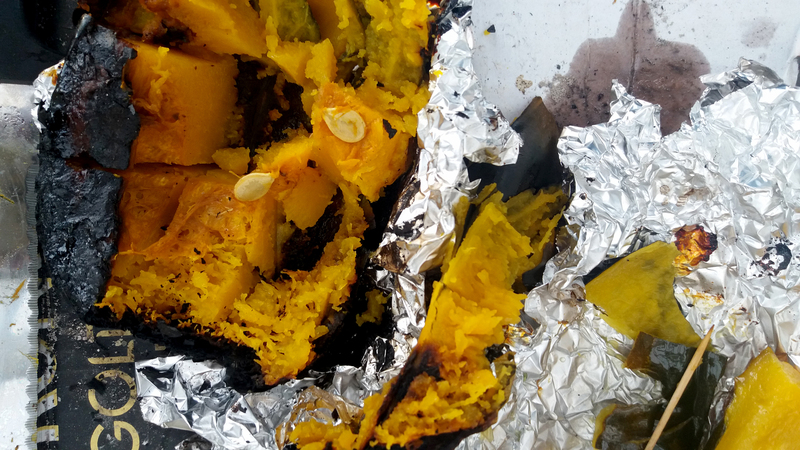 This fall Swale and the Garden Kitchen Lab hosted a free public meal showcasing salads, herbal teas and roasted butternut and delicata squashes from Swale’s floating food forest and the Garden Kitchen Lab. 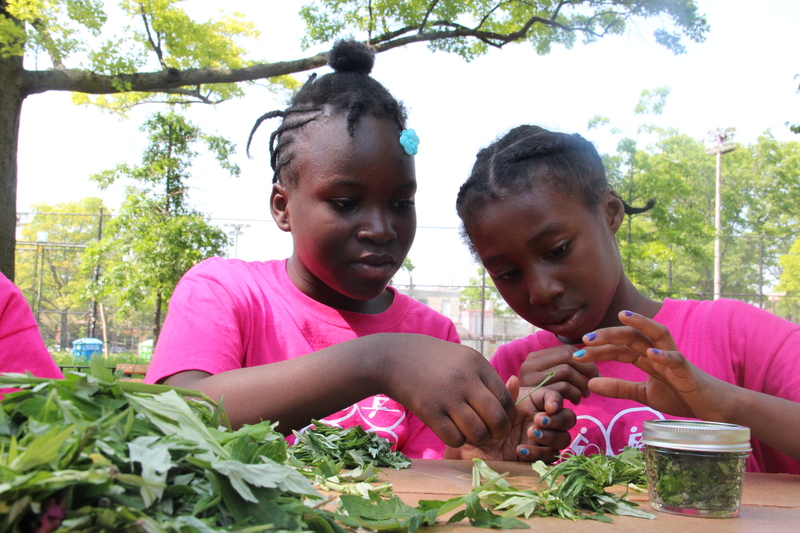 The event took place at Pier 6 in Dumbo and we had hundreds of people enjoying an afternoon of foraging and interacting with a public food-forest-park setting where people harvested and ate their own food. 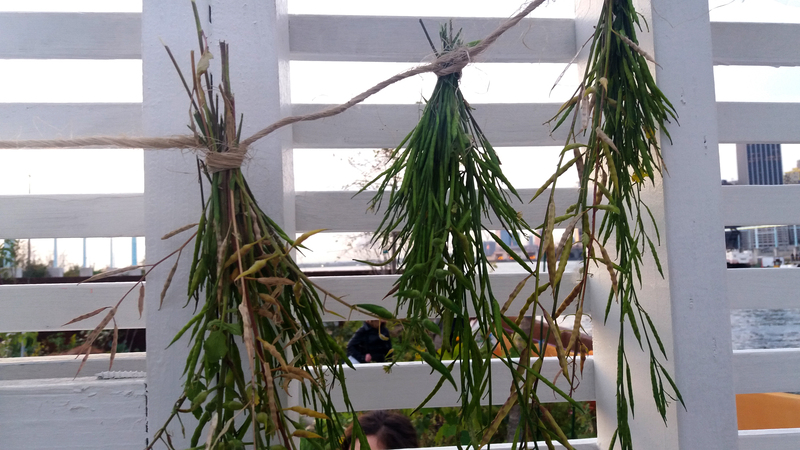 Swale is a collaborative floating food forest where people may visit, partake in the care taking process and learn about food sustainability. 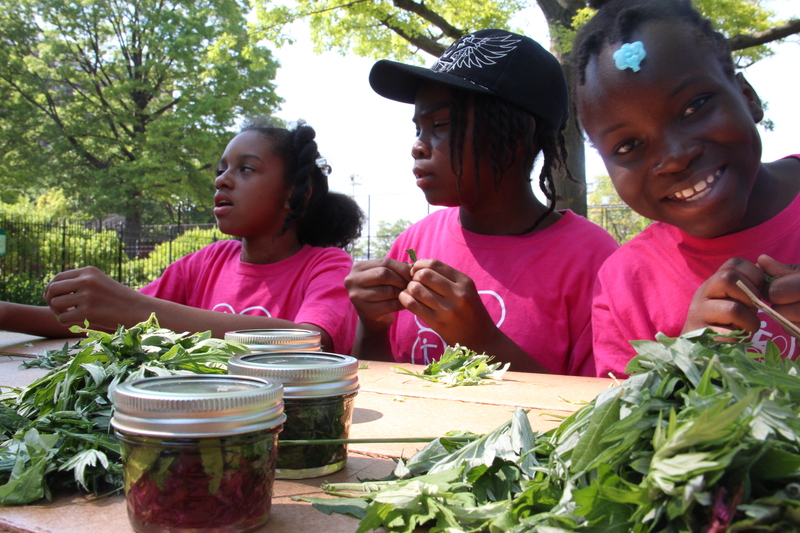 Created by artist Mary Mattingly, Swale functions as both an evolving sculpture and a tool by producing healthy food at the intersection of public art and utility. 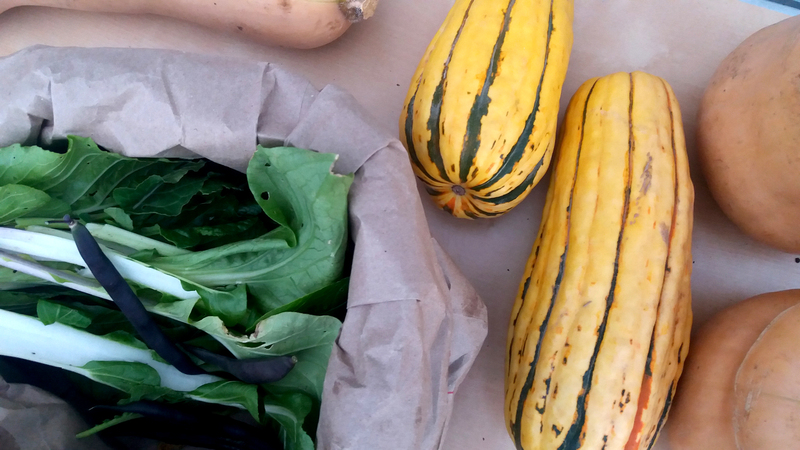 Visitors to Swale will see persimmon, bok choy, yucca, onion, tomatillos, herbs and other perennial fruits, vegetables and medicinal plants. 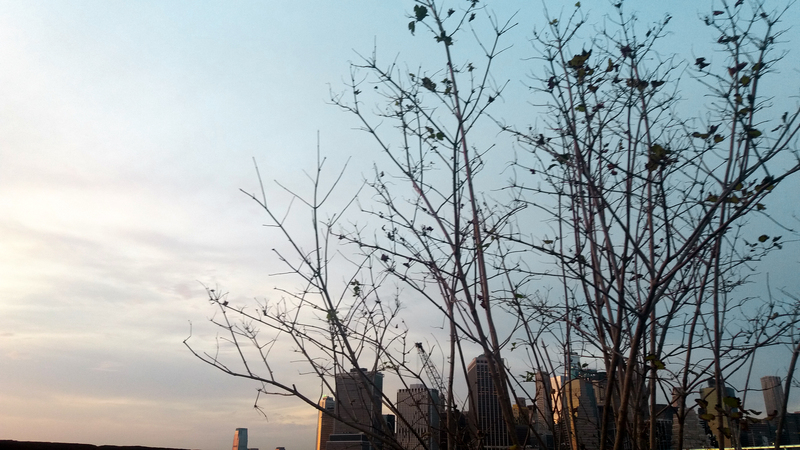 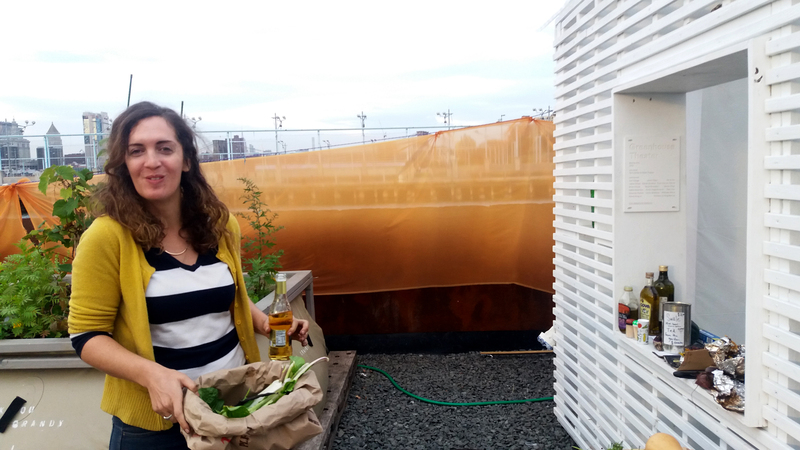 Rainwater is collected from the rooftop of the Biome Arts Greenhouse Theater, a pavilion that serves as a performance space, activist meeting hall, and artist gallery aboard Swale. 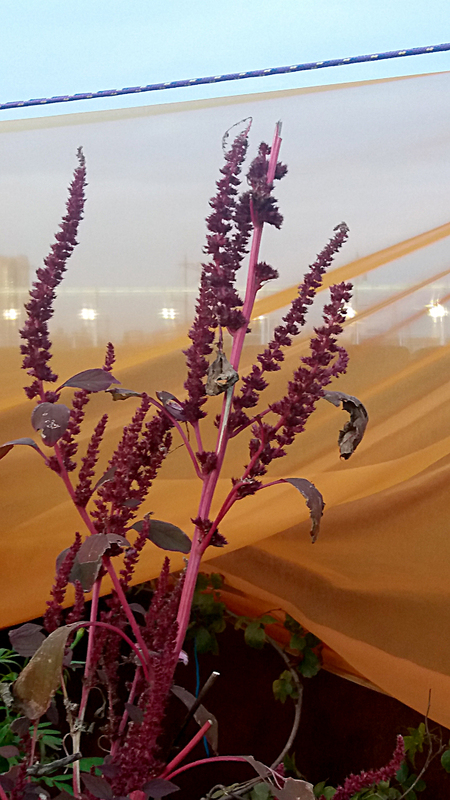 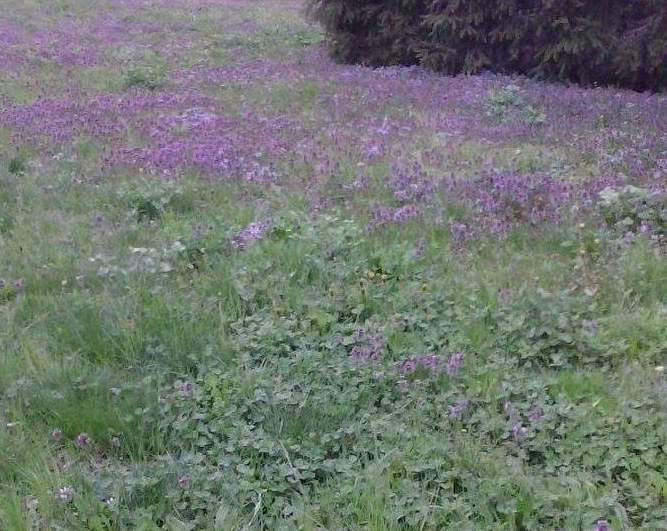 Learn more about Swale on our Public Art page and see other Swale-based events here. 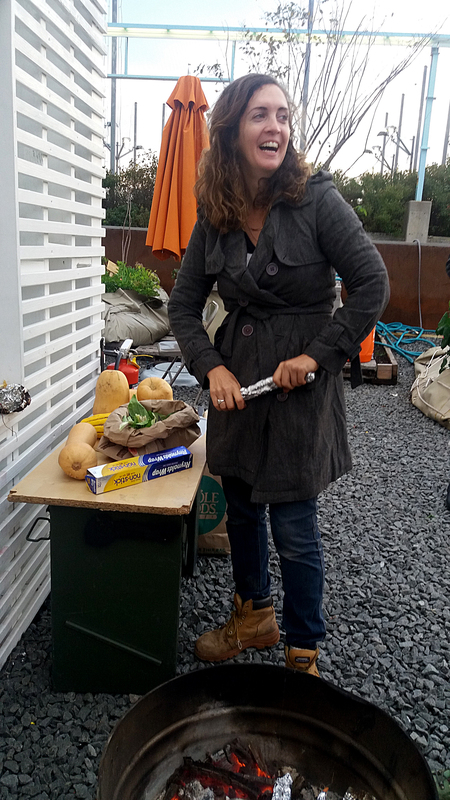 Categories: agriculture, children, community, compost, cooking, crops, farming, food, foraging, greens, growing, health, heirloom, herbs, nutrition, organic, planting, pollination, urban, vegetables | Tags: community, FabiolaCáceres, floatingfoodproject, food, foraging, health, MaryMattingly, publicparks, Swale | Permalink.